Count Income, formerly Fulfillment Financial Services, offers the most reasonably priced tax preparation services in the area. C I Corporation is open year-round and offers a full range of expert tax and accounting services to personal and small-business clients. Below is a chart outlining basic tax preparations services and their associated cost. 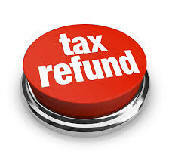 You will notice that our rates are much more competitive than many of the larger tax preparation services in the area. Please note: All quotes for pricing are based on reasonable and customary services provided. Additional bookkeeping, cost basis determinations, accounting or other research will be extra billed at a rate of $60.00 per hour and wherever possible estimates will be discussed with the client prior to commencing preparation of the tax return. Payment is required before returns can be released to the client. Please bring a copy of your last year’s return and provide copies of all w2′s, 1099′s, 1098′s and the cost information for any sales of stocks or mutual funds. For a more detailed return pricing, please contact us. Here is the form to File For Automatic Extension (IRS Form 4868) - until October 17, 2016. You must post mark it by April 15, 2016 to be on the safe side. Actually there a grace period until Monday April 18 because the next day is a Saturday (unusual). Note: We are not Certified Public Accountants, but are good counters.